Chavez says destruction of walking bridges to Colombia "routine"
Caracas - Venezuelan President Hugo Chavez said the destruction of "illegal" pedestrian bridges at the border with Colombia was "routine," and said the government would continue to eliminate them. Chavez said Saturday that the military had destroyed two bridges in the state of Tachira because they were used by traffickers of narcotics and other contraband. Caracas - At least 90 Colombians were arrested Thursday in the western Venezuelan state of Barinas for travelling without the required documents, Venezuelan authorities said. The Colombians were travelling in three buses, General Vladimir Padrino, regional National Guard chief, told Venezuelan television. "We are awaiting the relevant investigation. We do not understand why there was such a mass movement (of Colombians)," Padrino said, adding that he could not rule out that those arrested were paramilitaries. Caracas - Venezuela and Brazil have agreed to build and operate a joint oil refinery in the Brazilian state of Pernambuco following years of negotiations. The state-owned Brazilian oil company Petrobras will own 60 per cent and its Venezuelan counterpart Petroleos de Venezuela 40 per cent, according to the deal signed on Friday. The total cost of the project is about 12 billion dollars, media reports said. Building work on the Abreu e Lima refinery has already begun. Caracas (Venezuela), Oct. 18 : Wealthy Venezuelans have often luxuriated in the vistas of the Caribbean from the terrace of the Caraballeda Golf Club, relaxing with a whisky before teeing off amid tropical palms, above a marina filled with gleaming yachts. But this way of life is now under threat from their President Hugo Chávez, who derides the game as lazy, bourgeois and the antithesis of his Bolivarian Revolution. Caracas (Venezuela), October 11: A team of archaeologists with Peru’s National Institute of Culture, or INC, discovered a dozen graves and an equal number of pre-Columbian earthen enclosures at a complex located in an urban district of the ancient city of Cuzco. According to a report in the Latin American Herald Tribune, the discovery was made at an archaeological site known as Qata Ccasapata Llacta. Reports indicate that people dedicated to serving the elite in Inca times lived at that satellite settlement. The site is located in the northwestern part of that southeastern city, near a ravine and overlooking the Francisco Bolognesi housing community. Chavez: Colombian bases will be used to "plot against Venezuela"
Caracas - Venezuelan President Hugo Chavez claimed Wednesday that Colombian bases officially to be used by the US military in fighting drug trafficking and terrorism will instead be used to "plot" against Venezuela. Chavez criticized Colombia's refusal to share details with its South American neighbours of the deal with the United States to allow the US military use of seven bases on Colombian soil. He called it "shameful." Caracas - A 6.4-magnitude earthquake rocked several parts of Venezuela Saturday, but there were no reports of casualties or damage. Jesse Chacon, the minister for science, technology and industry, said the earthquake took place at a depth of about 15.9 kilometres and its epicentre was located 28 kilometres northeast of Moron in Carabobo state. Caracas - Venezuela beat Peru 3-1 at home in Puerto La Cruz to keep up their hopes of playing their first-ever World Cup. Nicolas Fedor scored Wednesday for Venezuela in the 33rd minute while Peru equalized nine minutes later through an own goal from Venezuelan defender Juan Fuenmayor. Fedor again pulled the host ahead in the 52nd minute while Ronald Vargas set the definitive 3-1 in the 70th minute. The result left Venezuela with 21 points from 16 qualifiers with two more rounds to be played in October. Caracas - Relations between Venezuela and Colombia have gone ice cold once again. Venezuelan President Hugo Chavez has frozen relations with Bogota, recalled the ambassador to Caracas last week and accused Colombian President Alvaro Uribe of aggression. The diplomatic row has been followed by dueling accusations. Caracas - Armed supporters of Venezuelan President Hugo Chavez have attacked the opposition broadcaster Globovision, media reports said. The estimated 30 attackers threw tear gas canisters and assaulted security guards on Monday, leaving one guard injured and numerous employees suffering the effects of tear gas. The broadcaster's general director, Alberto Federico Ravell, blamed the Chavez government for the attack. One of the attackers was reported to be a leader of the group Venezuelan Popular Unity, which is close to Chavez. Caracas - Venezuela's leftist government ordered 34 radio stations off the air, accusing them of broadcasting without a proper licence. The stations in question have to cease transmissions, Public Works Minister Diosdado Cabello, who also heads the country's telecommunications regulatory agency, said Friday. The closure orders are an indication of a growing rift between the government of President Hugo Chavez and Venezuela's private media. Caracas/Washington - Talks mediated by Costa Rica aimed at finding a solution to the political crisis in Honduras failed to reach a conclusion, Costa Rican President Oscar Arias said Friday. Arias, a Nobel Peace Prize winner who has taken on the role of mediator, met with ousted Honduran President Manuel Zelaya and Roberto Micheletti, leader of the newly installed government, in separate meetings at his home on Thursday. Zelaya and Micheletti later named delegations to continue the talks with Arias, but there has been no sign of a breakthrough. Caracas - Peruvian author Mario Vargas Llosa on Thursday sharply criticized the Venezuelan government of President Hugo Chavez. "The Venezuelan government is ever closer to a communist dictatorship and ever further from a liberal democracy," he said during a forum in Caracas. "If that path is not cut off and stops, Venezuela will become Latin America's second Cuba." Vargas Llosa, 73, ignored Venezuelan authorities, who had demanded that he refrain from making political comments in while visiting Venezuela. Caracas - Peruvian author Mario Vargas Llosa was temporarily detained Wednesday on arrival at Maiquetia airport near Caracas. The man who wrote The Green House (1965), Conversation in the Cathedral (1969) and Aunt Julia and the Scriptwriter (1977) is an outspoken critic of Venezuelan President Hugo Chavez and was in Venezuela to participate in a forum on freedom and democracy. Caracas - The Venezuelan government and the Santander Group have reached an agreement on the sale of the Bank of Venezuela, which was set to become a public bank in exchange for 1.05 billion dollars. Venezuelan Vice President Ramon Carrizalez said Friday that negotiations on the nationalization of the bank were friendly and "mutually beneficial." Caracas - Venezuela's President Hugo Chavez announced the nationalization of five steel firms in a Thursday television address, extending the state's grip on the country's industries. The move is part of a plan to create a single socialist industrial complex, he said. The firms affected are Matesi, a joint venture between Venezuela's Sidor and Luxembourg-based steel-pipe maker Tenaris SA, Consigua, Venprecar, Tavsa as well as the US-financed Orinoco Iron. Caracas - The Venezuelan government on Friday took over a food-processing plant owned by the transnational corporation Cargill, arguing that it had violated state rules for the production of goods with regulated prices. 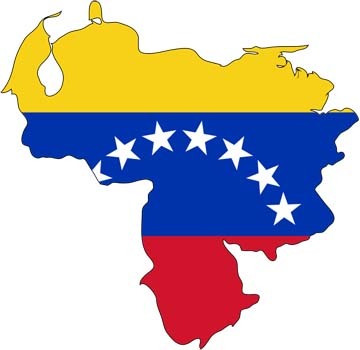 Deputy Food Minister Rafael Coronado headed the move on the pasta- processing plant in the coastal state of Vargas, near Caracas, and said the seizure was temporary. Caracas - A Venezuelan court Wednesday issued an international arrest warrant against opposition leader Manuel Rosales, who fled to Peru last week. The court justified the warrant for Rosales, who is a fierce opponent of Venezuela's President Hugo Chavez, by arguing the 56-year-old former mayor of Maracaibo was avoiding a trial on corruption charges. At the same time the authorities asked Interpol to assist the politician's arrest, who claimed political asylum in Peru. Caracas (Venezuela), Apr. 18 : Raul Castro, the brother of Cuban dictator Fidel Castro and de facto leader of the island nation 90 miles south of Florida, has admitted that his country may have been wrong in not engaging with the United States. Speaking at a meeting of leftist leaders heading to the 34-nation summit here eager to represent Cuba''s interests. He said his country''s previous refusal to engage the U. S. earlier might have been a mistake. Caracas (Venezuela), Apr. 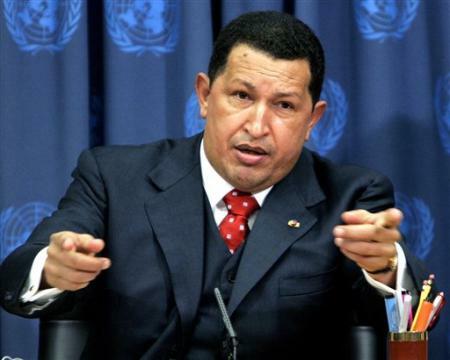 18 : Venezuelan President Hugo Chavez has said that he would like to be good friends with US President Barack Obama, suggesting possibilities of an iminent thaw in hostile relations between the two countries. According to Fox News, Chavez said: "I'd like to be your friend," while Obama reportedly expressed his thanks, though this couldn''''''''t immediately be confirmed. Photos released by the Venezuelan government show Obama clasping Chavez''''''''s hand and smiling broadly.